Recently, a European intellectual who visits Japan from time to time asked me if the country was a threat to peace. The next day (April 3), Philip Stephens wrote in The Financial Times about constraining China but also restraining Prime Minister Shinzo Abe. Is Japan a danger to the planet. Since 1945, Japan has been as unwilling to use force as any other country on earth. Today, under the premiership of a so-called hawk, its passivity in the face of violations of its territorial waters puts Neville Chamberlin to shame. Its armed forces have highly restrictive rules of engagement. Japanese territorial claims on South Korea and Russia are polite toothless assertions of sovereignty. Tokyo has not materially increased its defense spending in decades. Japanese do not run amok in government-sponsored mobs against alleged enemies, such as foreign-owned stores, as is the case in China. A North Korean League even operates freely in the country. Additionally, Japan is not a fully autonomous actor. It cannot initiate offensive military operations without American consent and support. Its response to an attack would be determined as much in Washington as in Tokyo. So why are outsiders so worried about Japanese militarism? First, there is the “sheep in wolf’s clothing” posture of the Abe Cabinet. In barely more than a year it has engaged in an endless stream of symbolic or verbal provocations: pilgrimages to Yasukuni, participation at Takeshima Day rites, Abe-appointed NHK governors denying wartime sexual slavery and the Nanjing Massacre, discussions about revisiting the Kono Statement, and a convoluted speech by Deputy Premier Taro Aso on learning from the Fuehrer. Second, many Japanese politicians don’t know how the rest of the world thinks. A telling example was the prime minister giving a thumbs up from the cockpit of Japanese Air Self Defense jet with tail number 731. That prompted memories of Imperial Japanese Army Unit 731, which performed gruesome experiments on Chinese, other Asians, Russians and some Westerners (and whose leaders received a “get out of jail card” courtesy of the United States). Yet the premier either didn’t notice the markings or didn’t realize what the impact would be, and then failed to fire his entire advance team afterwards. The “731 photo-op” was not unique. Aso’s trip to Yasukuni just after attending the inauguration of President Park Geun-hye of South Korea was another. 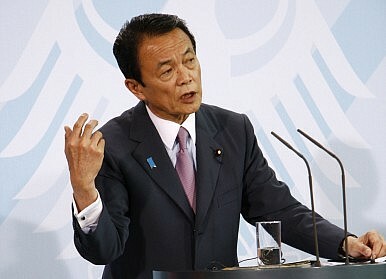 Third, Japan has an excellent but minute corps of diplomats and bureaucrats who excel at interaction with foreigners. Beyond this, though, most of its officialdom, including many in the Foreign Ministry, have not received the necessary training to, as the American expression goes, “make friends and influence people” overseas. The root causes lie in the inward-looking education system. Unfortunately, the government is blind to the requirement to provide extensive multi-year “remedial education” to the graduates it hires to ensure they are capable of functioning in a non-Japanese setting. Also, Japan’s is a “closed shop.” Most Japanese who grew up overseas or have a parent from another country end up working for foreign companies or governments. Those best suited for interacting between Japan and the world are lost to the Japanese state. Fourth, most Japanese officials view outsiders who criticize the LDP as hostile to Japan as a nation, which is generally not true. During a recent session with a Japanese diplomat, I mentioned a Western journalist in Tokyo. This reporter, whom I would describe as an open-minded left-winger, is neither a supporter of historical revisionism nor of Koizumi-Takenaka economics. Anyone who cares to read his prose will also notice a deep empathy for the Japanese people, an outstanding knowledge of the country, and a passion for Japanese culture. My Japanese interlocutor, however, saw him as a foe. As a result, these talented individuals who help develop an interest in Japan among younger generations are ostracized by the establishment. (I read with great interest this journalist’s reports when I was in college.) In the end, “Japan hands” who are trusted by the system are often those who are advocates for Japanese policies. They are frequently unwilling to tell their Japanese friends bad news, which contributes to Japanese misreading of the world beyond their shores. Fifth, Japan as country under-invests in cultural and educational diplomacy. Japanese corporations funded Japan Studies programs during the bubble years, but that era is long gone. With some exceptions, wealthy Japanese contribute little in this field. As for the government itself, it is unwilling to make the necessary financial investments in programs that would foster a large cadre of Japanese who could function outside of the archipelago and make more foreigners aware of Japan. Japan, like the United States and its allies, faces a challenge from a rising China. The extent to which the challenge is an actual threat is unknown, but it is only prudent to be prepared. In a prewar environment, and even in wartime itself, international propaganda (these days known as public diplomacy) is one of the arrows in the quivers of the belligerents. Unfortunately, this is an area where Japan, led by the proud grandson of a Minister of Munitions, practices unilateral disarmament worthy of Article 9 (the war-renouncing section of the Constitution). When it comes to his new security legislation, the prime minister should listen to the Japanese people. Shinzo Abe: Investing in the Past, Ignoring the FutureYasukuni Shrine Visits Invoke Ire – AgainAbe’s Coal AddictionAfter the Presidential Election, What Next for Abe and the LDP?Large and in Charge: Who is Taro Aso?